Central America is quickly becoming a favoured destination with backpackers, known for it’s tropical climate, expansive beaches, friendly locals and ancient relics. Comprising of Belize, Guatemala, Honduras, El Salvador, Nicaragua, Costa Rica and Panama, it’s position between North and South America gifts it two spectacular contrasting coastlines and a wide range of biomes, leading to some of the most diverse flora and fauna on the planet. Although Central America is technically part of North America, it’s tropical characteristics are more similar to that of the South American continent. From the expansive reefs of Belize in the north to the rainforests of Costa Rica and Panama in the south, the wildlife of Central America is one reason ecotourists and backpackers alike are flooding to the region. With so much to see and do, allow us to take you on a journey from Belize to Panama with our top 5 places to experience the wildlife of Central America. As previously mentioned, Central America is home to two lengthy coastlines, the Pacific Ocean on the west coast and the Caribbean Sea on the east. The latter of the two is home to one of the largest reef systems in the world, second only to the Great Barrier Reef in Australia. The Belize Barrier Reef stretches 300kms along Belize’s coastline and is home to more than 500 species of fish and over 100 species of hard and soft coral. 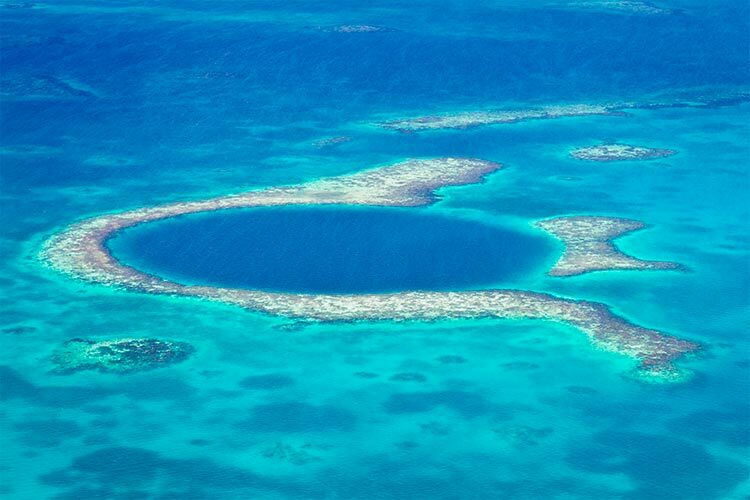 One of the most impressive parts of the whole reef system is the Great Blue Hole, an underwater sink hole that is said to have once been a cave before it’s roof collapsed. If you don’t have your diving certification, don’t fret! Belize is one of the best places in the world to learn to dive and there are many centres where you can take your PADI certification. If you’re in Belize between March and June you can dive with one of the most incredible marine animals in the world, the gigantic Whale Shark. Honduras is also known for its scuba diving, but if there is one wildlife experience you should have in this beautiful country, Macaw Mountain should be it! Dedicated to the conservation of these spectacular birds, the private reserve houses many rescued macaws along with several other species such as toucans, parrots and kingfishers. 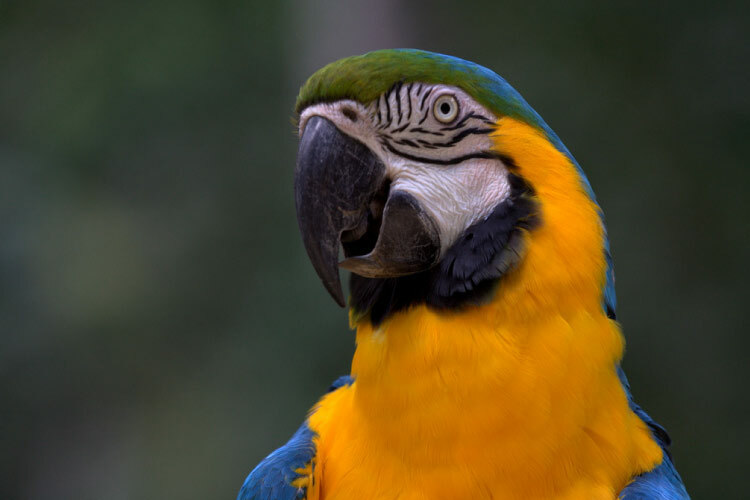 As the name suggests, the conservation centre specializes in the preservation of macaws and there are several rare species you’ll have the opportunity of seeing, including the Buffon macaw and the yellow-lored macaw. Make sure you pay a visit to their Encounter Centre where you can take a photo with many of the beautiful birds that call the reserve their home. 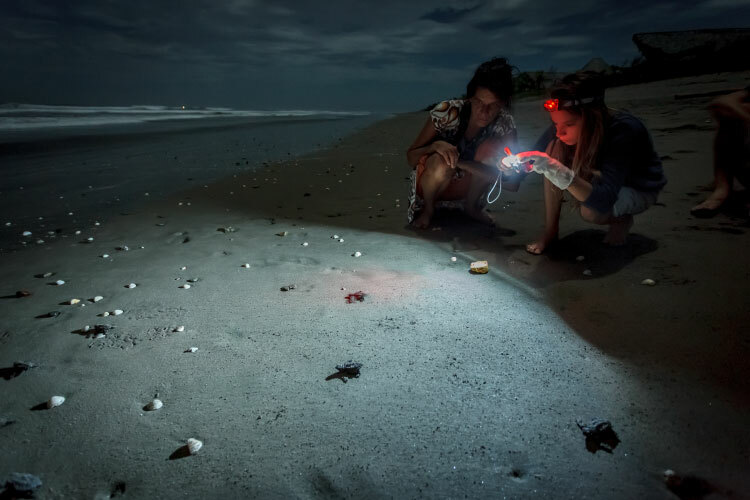 The Olive Ridley sea turtle can be found in both the Pacific and Indian oceans, but one of the best places to see them is La Flor Beach Natural Reserve in Nicaragua. Each year more than 100,000 Olive Ridley turtles come to lay their eggs in the sand in addition to leatherbacks, hawksbills and green turtles. Unfortunately this blissful phenomenon isn’t without its troubles; many of the nesting sites in Nicaragua and Central America in general are plagued by poachers who steal the eggs to sell in local towns. La Flor Beach Natural Reserve is dedicated to the conservation of these incredible animals, so a trip to help out at the centre will not only be spectacular from a visual perspective but will leave you save in the knowledge that you’ve contributed to the survival of these beautiful creatures. A comparatively high standard of living has lead to an unparalleled rise in tourism in Costa Rica over the last decade. While in most cases this is fantastic for the country, hordes of tourists don’t always lead to the most authentic experiences, especially where elusive wildlife is concerned. Thankfully, one reserve in Costa Rica’s southwest has a reputation for being one of the last untouched portions of this beautiful country, Corcovado National Park. This stunning costal park plays host to research scientists and adventurous backpackers alike, who come to the region not for its tourist amenities but for the abundance of wildlife. 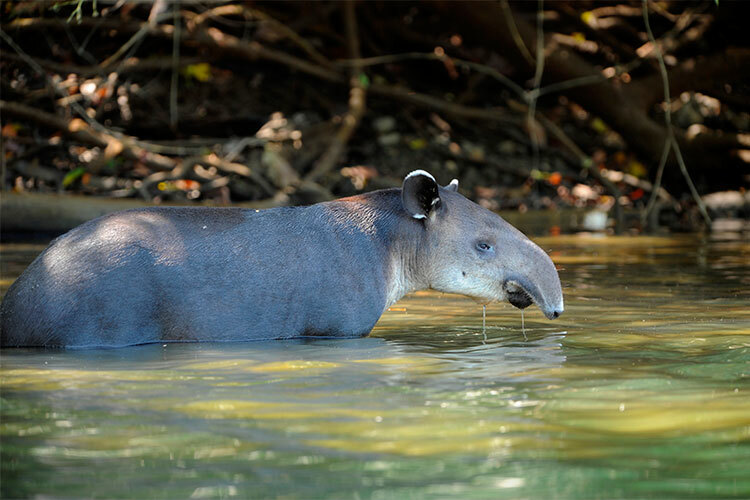 Spend a day trekking to the remote ranger station in the middle of the park and spend hours searching for tapir, one of the most incredible animals in the region. A UNESCO World Heritage Site found at the southern most tip of Panama, Darien National Park is infamous among the backpacking community, shrouded with tales of adventure, Colombian drug dealers and deadly creatures! In reality, unless you’re crossing the infamous “Darien Gap”, which is not a good idea whatsoever, the Darien National Park is very safe and a fascinating place to explore. The mere fact that UNESCO have inscribed the area onto their list should give you a good idea of the flora and fauna that abound the area. 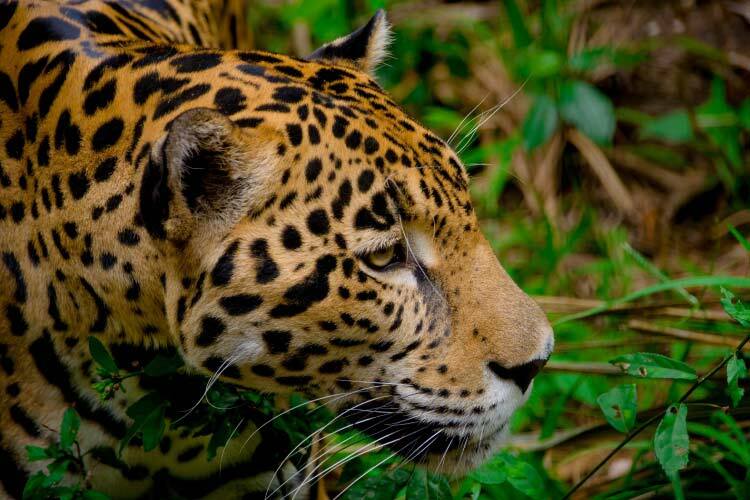 Included in this repertoire of wildlife is the illusive Jaguar, notorious for being one of the hardest members of the feline family to spot. One of the best ways to find this furry creature is to join an expedition; while it’s not guaranteed you will see one, this is likely your best chance, and should you be lucky enough to experience an encounter, it will be one of the most incredible moments of your life.